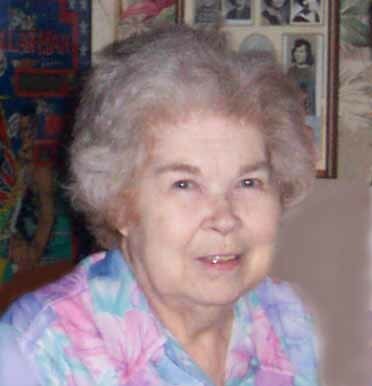 Doris M. Jarvis, 76, of Trenton Died Monday January 12, 2004 at St. Joseph Hospital in Breese. She was born May 22, 1927 in E. St. Louis to James and Hilda (Exendine) Goodwin, they preceded her in death. She was a member of St. Mary Church Trenton and was a homemaker. She is survived by a son Anthony (Deborah) Jarvis of Trenton and 5 daughters Mary (Lonnie) Hoffman of Breese, Carol (Eugene) Long of Trenton, Cathy (Andrew) Marzullo of El Segundo California, Elizabeth (and friend Bob Reynolds) Sherrell of St. Ann, Missouri and Frances Smith of Maryville, IL. She is also survived by 5 grandchildren Kevin Hoffman, Marc (Nicki) Jarvis, Renee Jarvis, Kelly Jarvis and Ryan Jarvis and 4 great grandchildren Nova Marie, Danielle, Kyle and Brendan. Also survived by Brothers Paul Richard (Dorothy) Goodwin of Leslie Missouri and David (Linda) Goodwin of Baltimore Maryland, sisters Nancy Goodwin of Cahokia IL and Judith Carron of Granite City IL. She was preceded in death by a brother Gerald Goodwin, sisters Helen and Wilma Goodwin and a grandson Jeffrey Hoffman. Funeral services will be held Friday Jan. 16 at 10 AM at St. Mary Church Trenton with Fr. Donald Blaes officiating. Interment in St. Mary Cemetery. Friends may call at the Moss Funeral Home in Trenton Thursday Jan 15 form 4 to 9 Pm and Friday from 8 to 9:45 AM. Memorial can be made to the Shiner’s Hospital and will be received at the funeral home.